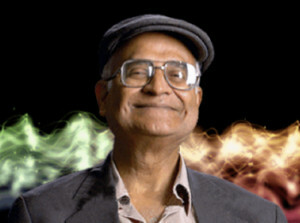 Dr. Amit Goswami is one of the eminent scientists in the field of quantum physics. His famous book ‘Physics of the soul’ is regarded to have been the turning point in his life. He is a professor at the University of Oregon and has worked relentlessly to publish a number of research papers in the world-famous journals. Simultaneously, he has authored quite a number of books too. The answer to this not unique; there are numerous views on it. Even if you hear it from the horse’s mouth, you are less likely to receive a concrete answer. His thoughts pondered over this question greatly, and thus, for the next few years, he moved on to research more about human consciousness and distinguishing it from the matter. After rigorous research, Dr. Amit Goswami was of the opinion that consciousness is the key to all existence, and not matter. As it is well-known that anything that takes up space and has a volume is called a matter, but Dr. Amit Goswami said that the universe is actually self-aware, and that awareness is the sole reason of existence of the physical world. Later, he names this paradigm as the Monistic Idealism. Moreover, he being a scientist in the field of quantum physics relates all of it to the new paradigm and is able to explain quantum physics with the help of this idealism. Simultaneously, he is also able to relate the idealism to free will, creativity, healing, unconsciousness, and finally the spiritual growth.